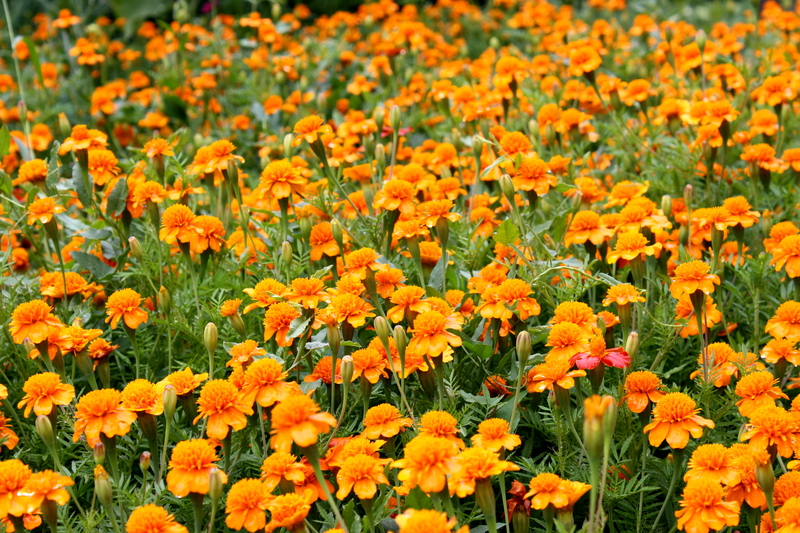 Free high resolution photo of a field full of orange marigold flowers in full bloom. This picture shows marigolds as far as the eye can see. Free image for any use.